Located within Midtown's cultural district and surrounded by high-rises, this celebrated "vest-pocket" park is a welcome respite from the sights and sounds of urban living. 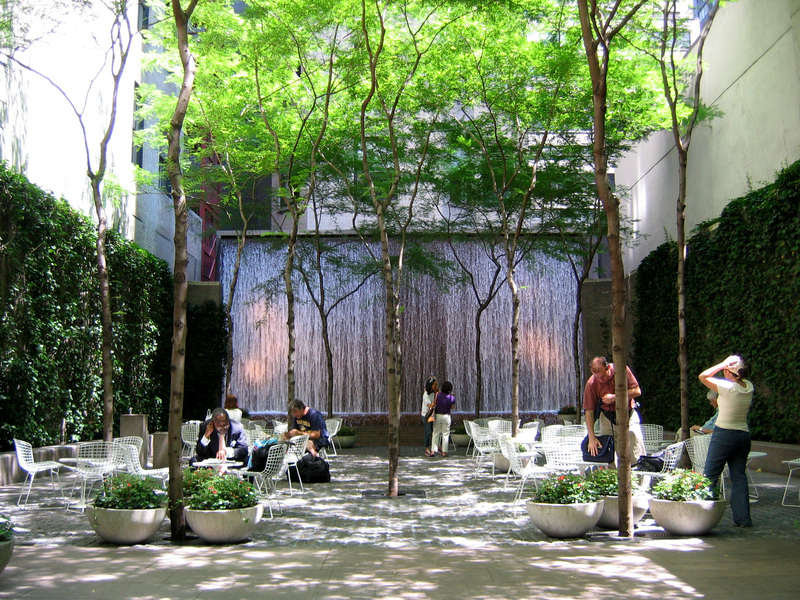 Paley Park’s popularity is due to its design that provides a quiet escape from the city in Midtown Manhattan. Every detail of the park was crafted in order to mitigate city noise and create a peaceful space in the middle of urban life. To help prevent sound from directly entering from the street and to create a sense of privacy in the space, the entire park is slightly elevated from street-level by several steps. The dense ivy on the walls and the low tree canopy work as a sound barrier and the waterfall feature on the back wall produces white noise that drowns out the sounds of the city. 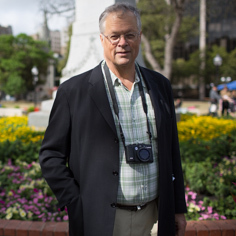 In designing the park, the comfort of its visitors was the top priority for William Paley and his landscape architects. For this reason, they opted for light, moveable mesh chairs and tables that gave people options and flexibility in choosing where and how they want to organize themselves. 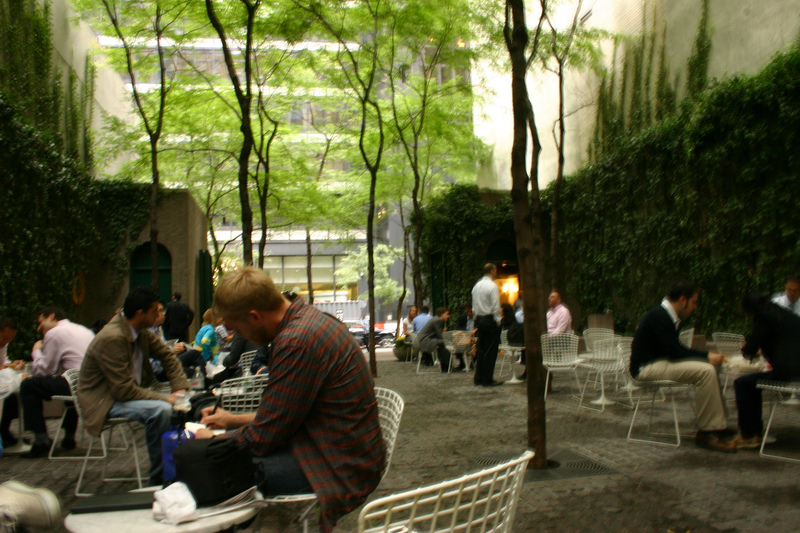 Even though Paley Park feels like a quiet, private oasis, it is heavily used due to its central location and design that makes it easily accessible and visible to passer-bys on the street. Paley Park was so named by former Chairman of CBS, William Paley, whose foundation funded the project as both a memorial to his father and a prototype for a new kind of privately-owned public space. Paley worked with landscape architects Zion & Breene Associates to design every aspect of the park on a site measuring only one-tenth of an acre. The park was an immediate success, and since its opening in 1967 it has become a model for privately-owned public spaces in New York City. 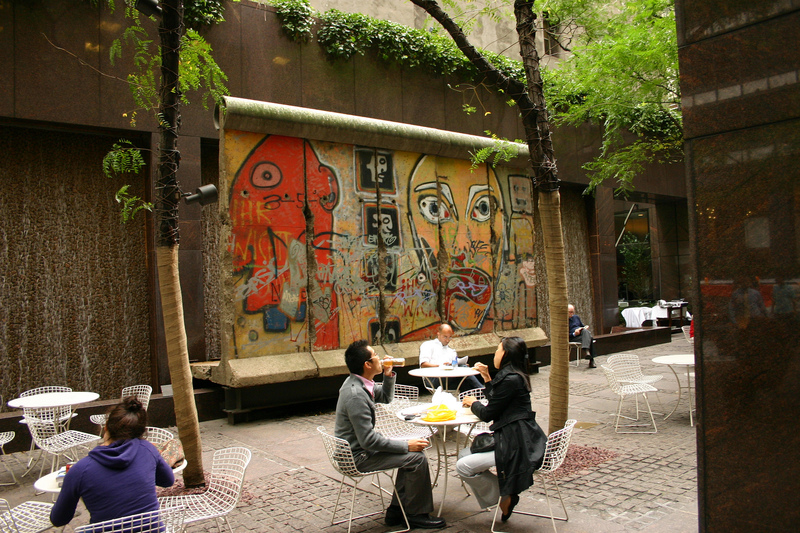 Paley Park was featured in William H. Whyte’s film The Social Life of Small Urban Spaces (1980), which rigorously documented how people use the space throughout the day.